Contact Us About This Piece please include the title in your subject line. Landscape prints on canvas. Moonlight has a magical quality all its own. As the light fades and the change from the last light of the day to the first light of night the shimmering moon plays against the mystery of the woods. 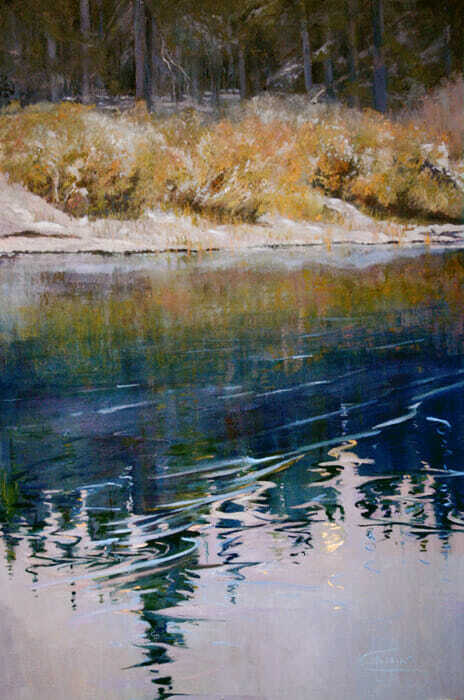 Painted from sketches on a trip through Jackson Hole, the first dusting of snow and the twilight I love to painting. printed in permanent pigment inks. Signed by the artist. Tags: wood scenery, woodland scenes, canvas print, canvas prints, fine art, landscape art, landscape painting, moonlight paintings. My art prints on canvas are all made to order by the artist. Printed in permanent pigment inks on archival canvas. 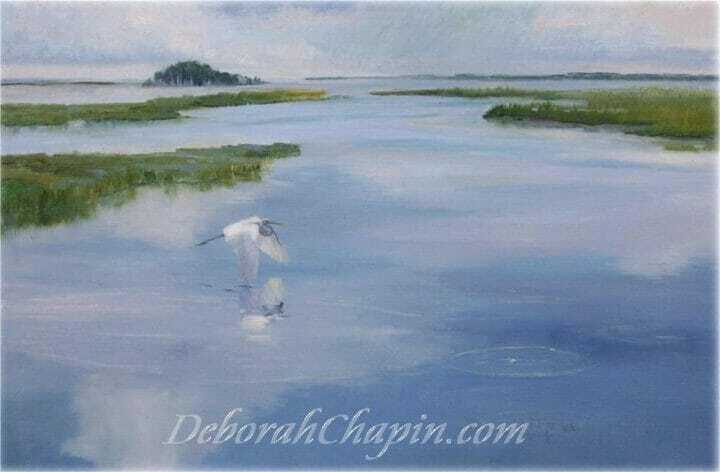 Deborah is a long time professional artist who has lectured at the Smithsonian American Art Museum on color and plein air painting and has exhibited her works in museums worldwide. Beautiful piece and wonderful site. You’ll definitely have to come up to our place for painting. You have have exceptional articles as well as paintings. Beautiful. I simply want to say I love this web site. Many thanks for sharing your work with us.